So how was your weekend? Saw anything good? We ended up experiencing the busiest February weekend in our history with a little movie you may have heard of called BLACK PANTHER. Between Thursday and Sunday we had 35 straight sold out screenings breaking all sorts of box office records. Demand for tickets is still outpacing anything we have ever shown at The Broad, so we have already put tickets on sale for next week on two of our four screens. The outpouring of joy we’ve seen at screenings this weekend has been truly awe-inspiring. From spontaneous bouts of applause to the amazing number of people dressing in their finest attire for a Sunday matinee, it is clear that this is more than a movie to many of our guests. We’re happy to say that we are working with a number of local schools to set up field trips, and we have already hosted many college student groups over this past weekend. If you are interested in sponsoring a student trip, feel free to email mgmt[at]thebroadtheater.com and we’ll get in touch. BLACK PANTHER, CALL ME BY YOUR NAME, THE INSULT, THE SHAPE OF WATER and I, TONYA all remain in our lineup for this weekend, and we fully expect more sold out shows to take place. Don’t forget to buy your tickets in advance online to make sure you don’t miss out. Having trouble finding parking? Don’t forget the tow yard across from our main parking lot as well as the AutoZone across Broad street both offer additional parking without the fear of a costly boot. THE BREADWINNER is opening this weekend with a large wave of critical praise behind it. 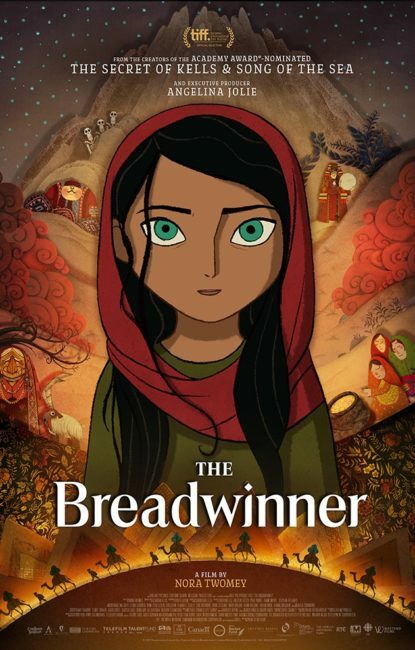 A multinational production, this animated tale of a young girl living under Taliban rule is both beautifully shown and heart-wrenchingly told with brutal honesty. Check it out during this special limited engagement. BYOB(aby) will be showing PURPLE RAIN this week. This infant-friendly show will be on Thursday at 11 AM and will feature sushi from Asuka available for pre-order on our website. With the lights turned up and the sound turned down it is a perfect way to bring your baby to the cinema in a stress-free environment. Thanks again for reading, and we’ll see you at the movies!